I’ve been trying to change my eating habits for the better this summer. As a life-long snacker with a strong sweet tooth, it has been a struggle for me to break some of my habits with food. I’m making slow but steady progress. I’ve noticed that when I eat more high-protein snacks and meals, like eggs or a protein shake for breakfast and cottage cheese or nuts for a mid-day snack, I have less desire to graze on junk (ie, toast and granola bars and fruit snacks. Seriously, I lived on those 3 things during the day!). I’ve also noticed that I have more energy, a clearer mind, and in general I just feel better. I’ve always been a fan of cottage cheese – The Original Superfood. Cottage cheese and pineapple was one of my favorite snacks growing up, and I still have a container of cottage cheese as a staple in my fridge. 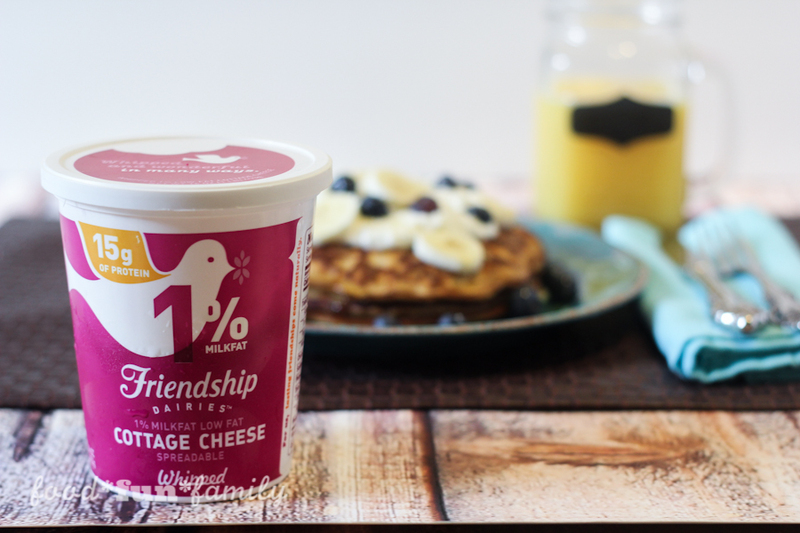 I’ve got a new cottage cheese obsession – Friendship Farms Whipped cottage cheese. Friendship Dairies cottage cheese is an excellent source of protein, and the whipped cottage cheese has a full 15 grams of protein per serving. That is incredible! I loved the texture of the whipped cottage cheese (something I had never tried before). It’s great eaten in a bowl, topped with fruit or as an ingredient in a delicious protein smoothie. 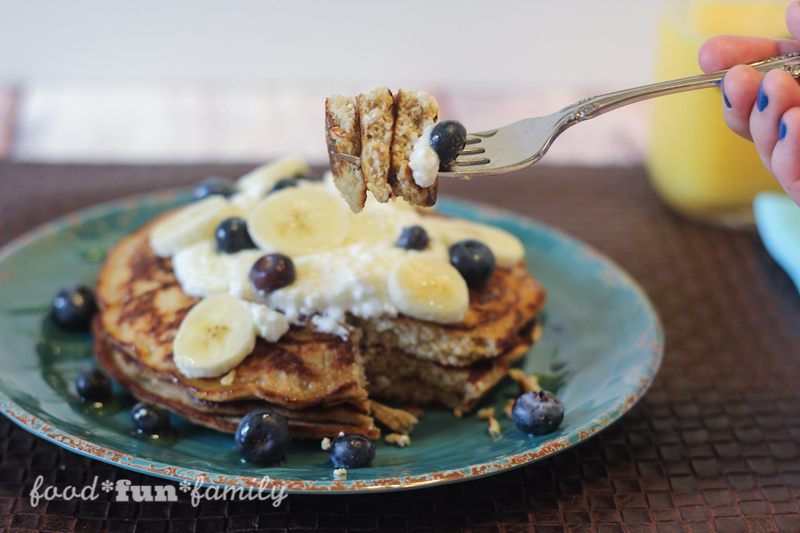 Or, as I’m eager to share….in my latest breakfast recipe for cottage cheese protein pancakes. Friendship Dairies cottage cheese fuels your day, but it also helps fuel whatever it is you’re into – those things you do that #FuelYourFancy and make you uniquely YOU. Whether you fancy swimming, traveling, exercising, crafting, playing with the kids, hiking, singing, gardening, or even skydiving, protein-packed Friendship Dairies cottage cheese gives you the energy to do all the things you love. Friendship Dairies cottage cheese wants to hear how you Fuel Your Fancy. Share an image of what you fuel up for – that thing you love to do that makes you, you – and you could win $5,000. While I can’t enter the contest I can still share how I fuel my fancy (followed, of course, by my new favorite protein pancake recipe!). I love to walk. I love to put my headphones on and listen to an audio book or Pandora (depending on my mood) and then walk and walk. 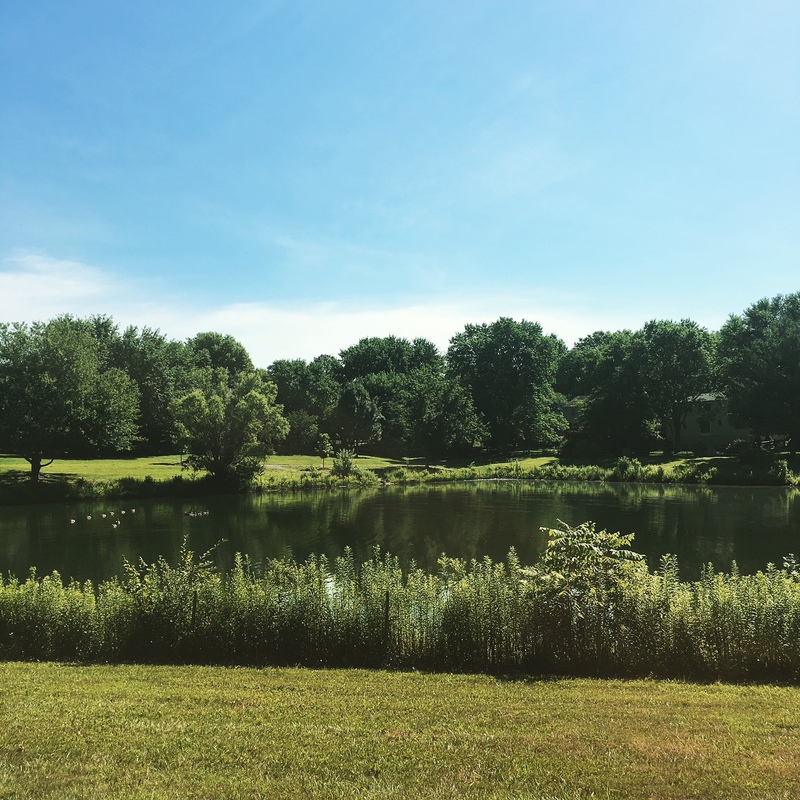 I love the solitude of my morning walks. 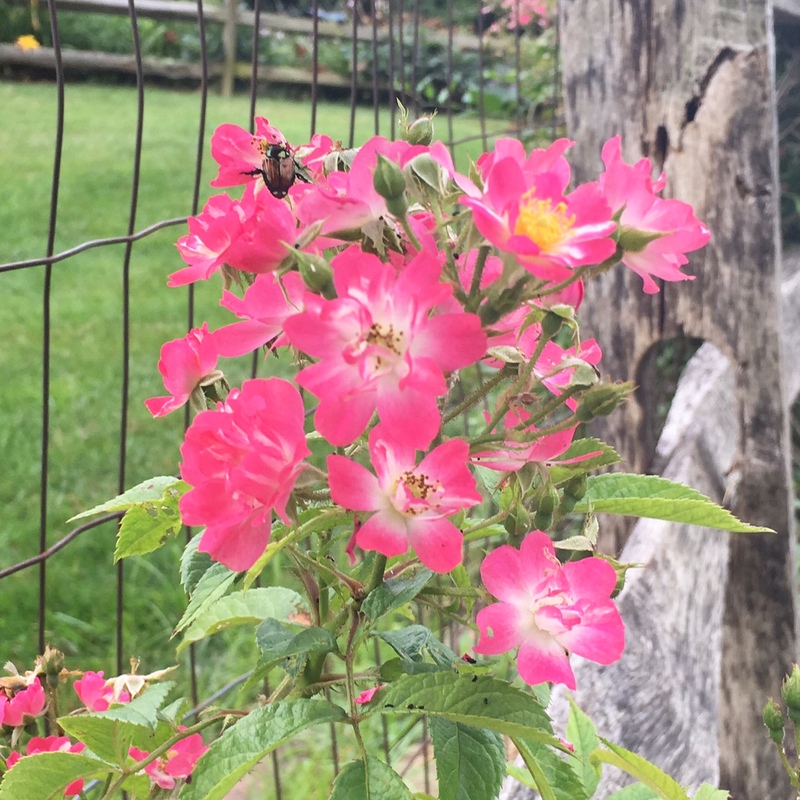 I love seeing things on the side of the road that are picture-worthy (and later get shared on Instagram!). I love the ache in my legs after I’ve walked a couple of miles. 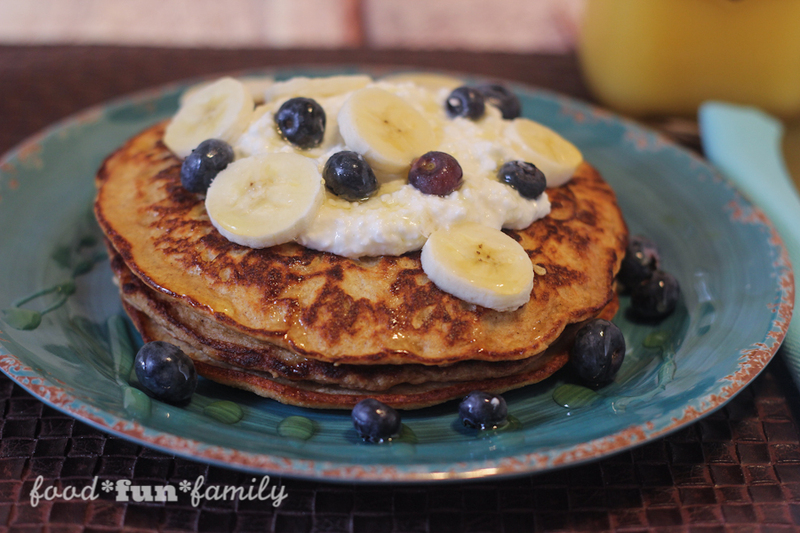 I always start my morning walks with a hearty breakfast that I know will stick with me, and these cottage cheese protein pancakes fit the bill! Place cottage cheese, oats, eggs, protein powder, vanilla, and cinnamon in a blender. Blend until smooth. Pour onto a hot skillet, coated with a small amount of butter or coconut oil. Heat until batter is slightly bubbly, then flip to cook the other side to a golden brown. Serve hot, topped with a scoop of cottage cheese, fresh fruit, and honey drizzled over the top. Did you know? Friendship Farms cottage cheese is extremely versatile – it’s good for dips, spreads, smoothies, mix-ins and a protein-rich addition to recipes like this one. Check out Friendship Dairies for a ton of modern cottage cheese recipes and videos for inspiration! 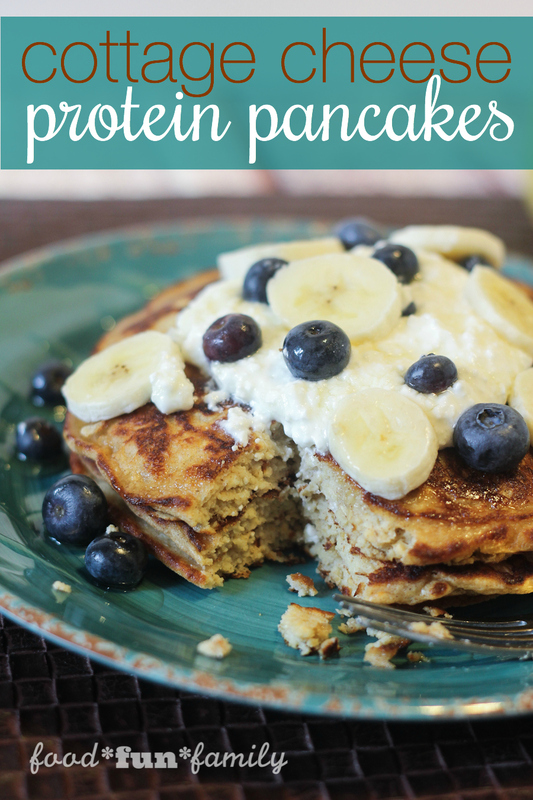 I have all the ingredients to make this healthy Cottage Cheese Protein Pancakes recipe! These pancakes look so delicious. Thanks for the recipe! 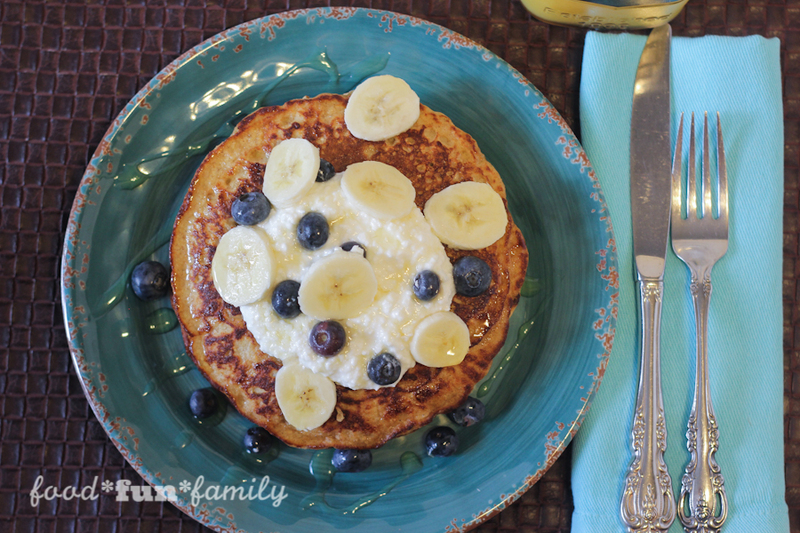 What a great idea to add extra protein by using the cottage cheese to the pancakes! Thank you for sharing with Delicious Dishes Recipe Party! What a great way to use cottage cheese! Yum!